Soon after the September 11 attacks in 2001, the United States captured hundreds of suspected al-Qaeda terrorists in Afghanistan and around the world. By the following January the first of these prisoners arrived at the U.S. military's prison camp in Guantanamo Bay, Cuba, where they were subject to President George W. Bush's executive order authorizing their trial by military commissions. 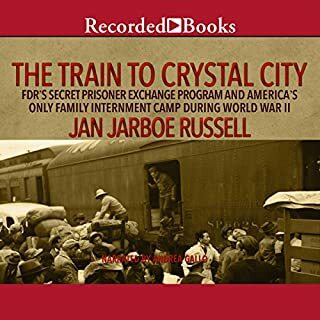 The dramatic and never-before-told story of a secret FDR-approved American internment camp in Texas during World War II, where thousands of families - many US citizens - were incarcerated. The Dark Side is a narrative account of the decisions the U.S. made after September 11, decisions that not only violated the Constitution, but also hampered the pursuit of Al Qaeda. In gripping detail, Jane Mayer relates specific cases, shown in real time against the larger tableau of Washington, looking at the intelligence gained and the price paid. In all cases, there were incalculable losses in terms of moral standing, our country's place in the world, and its sense of itself. The author of Across the Wire offers brilliant investigative reporting of what went wrong when, in May 2001, a group of 26 men attempted to cross the Mexican border into the desert of Southern Arizona. Only 12 men came back out. An unprecedented international publishing event: the first and only diary written by a still-imprisoned Guantánamo detainee. Since 2002, Mohamedou Slahi has been imprisoned at the detention camp at Guantánamo Bay, Cuba. In all these years, the United States has never charged him with a crime. A federal judge ordered his release in March 2010, but the U.S. government fought that decision, and there is no sign that the United States plans to let him go. Three years into his captivity Slahi began a diary, recounting his life before he disappeared into U.S. custody, "his endless world tour" of imprisonment and interrogation, and his daily life as a Guantánamo prisoner. His diary is not merely a vivid record of a miscarriage of justice, but a deeply personal memoir - terrifying, darkly humorous, and surprisingly gracious. 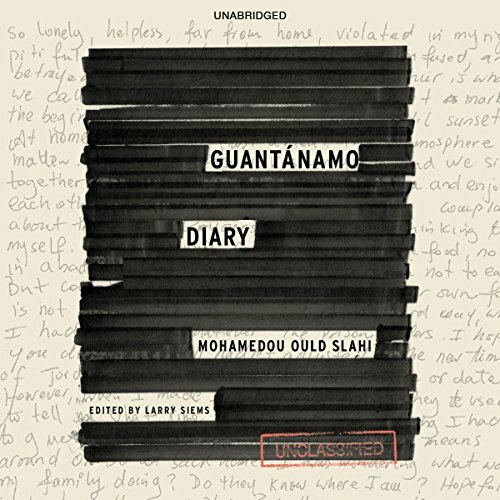 Published now for the first time, Guantánamo Diary is a document of immense historical importance and a riveting and profoundly revealing listen. 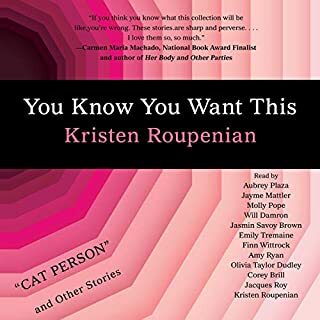 This books is amazing! I would recommend it to anyone who enjoys eye opening stories.. It's dark humor is a comedic relief. It is impossible to know whether Mohamedou Ould Slahi is innocent or guilty of collaborating with Islamic terrorists from the evidence reported in his book, “Guantánamo Diary”. One may argue that Slahi is simply lying about what happened to him, and has written a book to defame America. The “Guantánamo Diary” is a bore to listen to or read. However, there is ample evidence, exclusive of the “Guantánamo Diary”, that confirms the truth of Slahi’s rendition and torture at the direction of the American government. 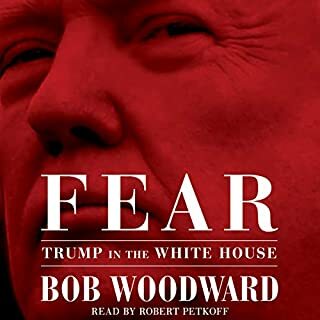 It is worth getting past boredom because it is a story that threatens America’s way of life. “Guantánamo Diary” is an indictment of a more virulent form of American McCarthyism. Just as Joseph McCarthy became the poster boy for ferreting communists out of government, Donald Rumsfeld became the face of terrorist’ incarceration and torture. As horrid as deaths from terrorism are, a nation of 319 million people lives relatively free; despite one, one thousand, or one million terrorists who commit domestic and/or international massacres. If Americans wishes to remain free, it is better to let one terrorist free than let an innocent, or unproven-accused, be crucified. As noted by George Orwell, lack of freedom leads to injustice and totalitarianism. As of June 2015, Slahi remains imprisoned at Gitmo. He has finally been remanded to a district court for further fact-finding. Slahi is either guilty or innocent, but depriving him of 15 years of freedom is an Orwellian crime. Every time the book is redacted a voice says "redacted".. for every name, date, event.. Incredibly annoying! But the book is important, so read it instead of listening! Crazy to think my government would do such a thing, desperate times I suppose. Sad for MOS to have been deprived his freedom. Could not get enough of this book. This is an important story and, I believe, the responsibility of all Americans (me) to read and experience. 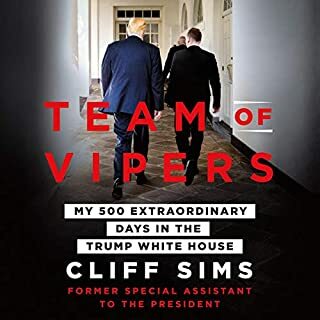 I really thought this book might shed some light on Gitmo and provide an account that might help me decide on its purpose/effectiveness. While I understand and partially agree on the need for a place such as Gitmo, I truly believe we should either conduct military tribunals and appropriately dispense justice or release the remaining individuals. 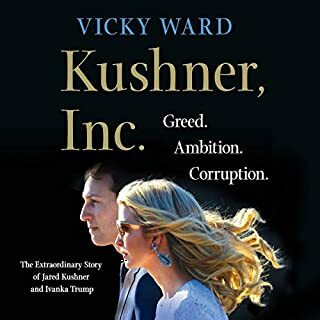 Self serving and unconvincing, this book exposes the furtive, futile nature of U.S. rendition policy years past any operational value. Very difficult to get through. Great book. If you want to know!!!! 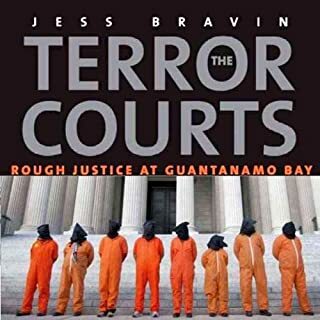 This book for the people who want to know what the government is hiding in Guantánamo. Compelling & insightful. More light must be shed on this subject as a whole, and the morally reprehensible blind zealous fervor by which America has tried to solve everything with. No one wants to “see how the sausage is made”. Sad, sad story. I wish peace to MOS.